I am a huge fan of a ministry I have just recently learned about called "The Pocket Testament League." Their name is pretty old-fashioned, but their work is cutting-edge. Basically, they will give anyone in North America (U.S. and Canada) up to 30 high-quality gospels of John per month free of charge (including free shipping). Give them away, and they'll keep sending them. One thing I really like about the Pocket Testament League is that they offer good, readable versions of the Bible - including the NIV (New International Version) and the NLT (New Living Translation). 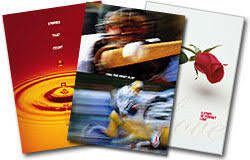 They also offer a choice of about 20 high quality covers, and gospels in English, Mandarin and Spanish. They even have something for kids. What's the catch? There isn't one. This ministry's donors make this possible. Sign up now at www.pocketpower.org. Please mention my referral number (266147) so I qualify to get that many more gospels to give away in taxis, at meetings, etc. 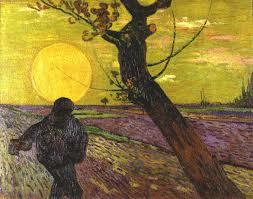 One final challenge: Are you a seed sower? Try to make it a habit to leave something with everyone you chat with but will probably never see again. I like to carry around gospels of John, Jesus films on DVD, Gary Weeks' Eternity CD, and my own contact details card. God can feed 5,000, but sometimes he asks us for a couple of fish and loaves of bread (John 6:5-13) to work with. You will probably never know the fruit of the seeds you plant with strangers, but it is hard for a seed to sprout if it is never planted; and some seeds do land on good soil (Luke 8:1-15).